Following the recent ICAC Task Force Commanders Meeting, the Internet Crimes Against Children Task Force Program announced the date and location of the 2019 National Law Enforcement Training on Child Exploitation. The 3-day national training event is restricted to law enforcement and correctional officers as well as prosecutors dedicated to investigating and prosecuting technology-facilitated crimes against children. Last year, more than 1,400 prosecutors and law enforcement professionals from throughout government attended the training conference which featured 127 labs and lecture workshops focused on the the elimination and prevention of technology and internet facilitated crimes against children. Attendees from City, Local, State, Federal an Tribal agencies represented the U.S., U.S. Territories, U.K., Canada, Australia, Guatemala and India. 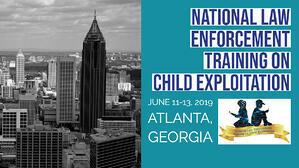 NLETC speakers represent subject matter experts in the fight against child exploitation including the Department of Justice, Office of Juvenile Justice and Delinquency Prevention (OJJDP), federal agencies, city and local law enforcement, state prosecutors and law enforcement, industry and non-governmental organizations. 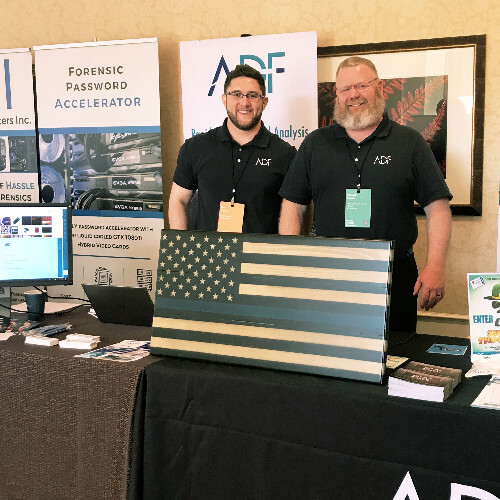 In 2018, ADF Digital Forensic Specialist, Rich Frawley, hosted a hands-on lab session: "Getting Started with ADF Digital Evidence Investigator & ICAC Investigations" which taught attendees how to prepare a collection key, perform a live scan and a boot scan, quickly review triage results, and how to configure a scan for a child exploitation case.